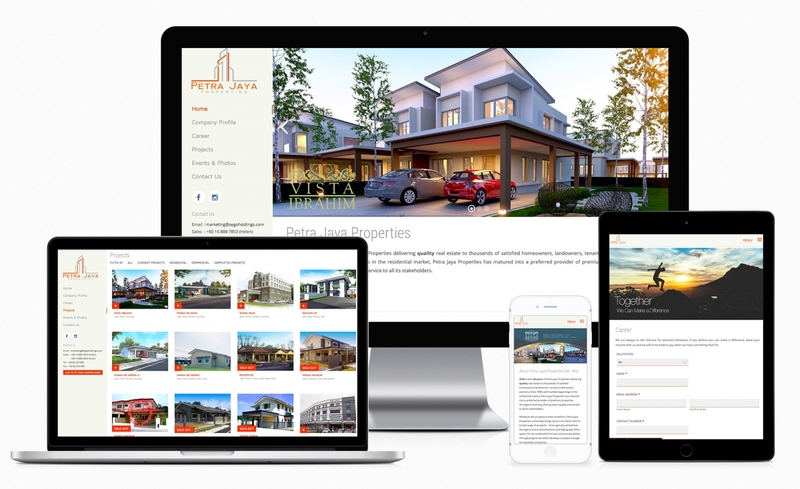 Petra Jaya Properties delivering quality real estate to thousands of satisfied homeowners, landowners, tenants and business partners. Since 1998, with humble beginnings in the residential market, Petra Jaya Properties has matured into a preferred provider of premium properties throughout Kuching offering value, quality and service to all its stakeholders. Client would like to revise their old website into more dynamic, friendly layout that support smartphone/tablet web browsing, and easy to manage backend system. New – Dynamic Content Block, allow them to easily add map, accordion, tab, grid content, photo gallery easily with user friendly interface building tool, without coding needed.